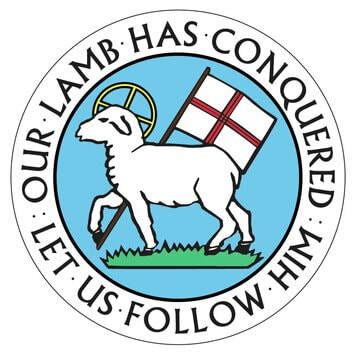 Mission is central to the identity of Raleigh Moravian Church. Find out ways to serve and to receive the services of our church through our Missions Group. Raleigh Moravian provides many opportunities for the community to utilize our space. Below you will find descriptions of three of our current programs: Boy Scouts, Cub Scouts, and the Flower Shuttle. The mission of the Flower Shuttle is to recycle flowers to our neighbors living with sickness, terminal illness, poverty, and disability, who don't normally get flowers. 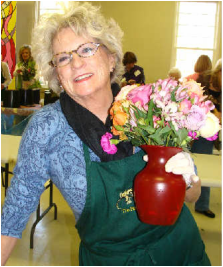 While the Flower Shuttle is hosted at Raleigh Moravian it involves men and women from throughout the region. For more information about volunteering email theflowershuttlevolunteer@hotmail.com or just drop in! 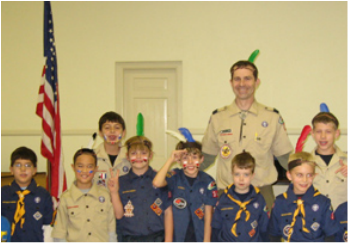 Raleigh Moravian is the sponsoring congregation of Cub Pack and Scout Troop #346, part of Occoeechee Council. The Cub Scout program is for all boys in the first throu﻿gh fifth grades. Additional information about the Cub Scout program at Raleigh Moravian is available on the Cub Scout website page. The Boy Scout program is for boys who have completed the fifth grade or are 11 years old.